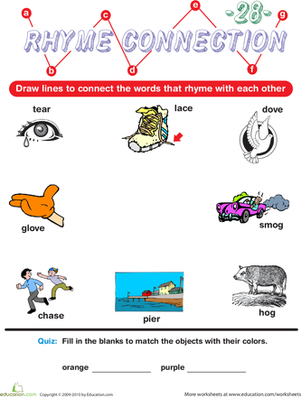 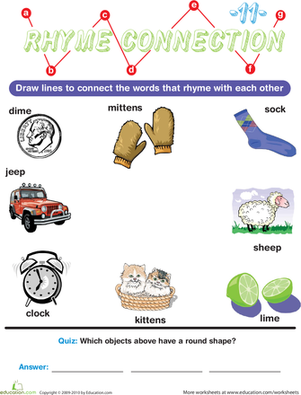 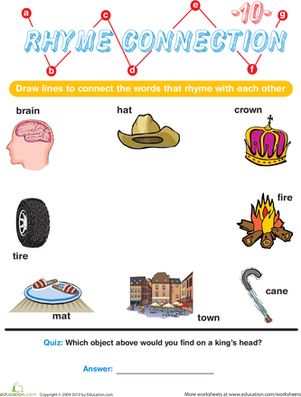 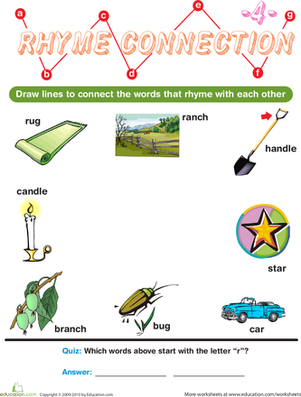 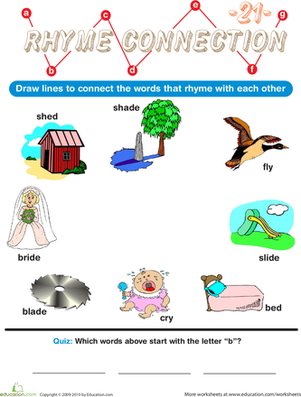 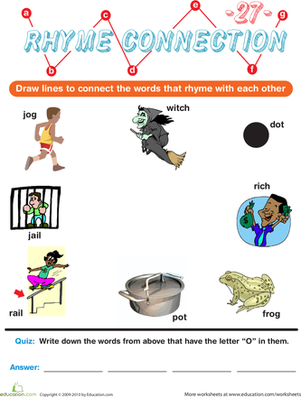 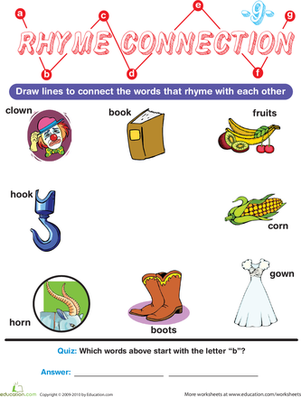 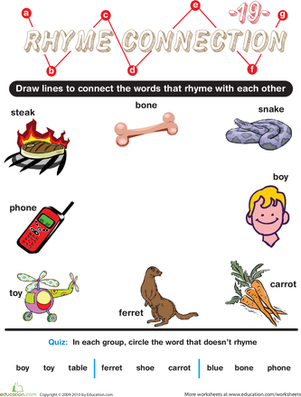 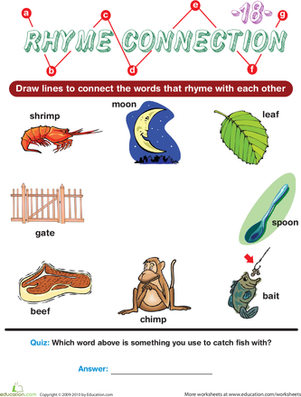 Help your child connect with reading using this Rhyme Connection worksheet! 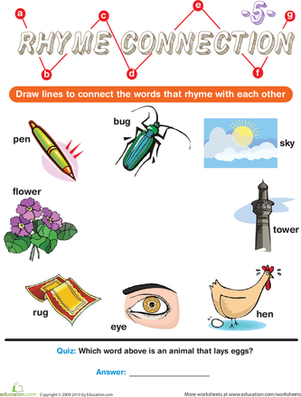 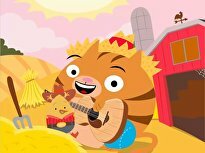 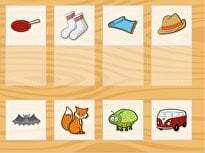 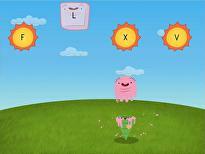 Your child will draw a line between rhyming words, using the pictures to help him remember how each word sounds. 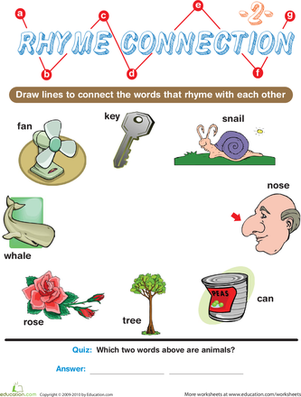 Does he notice any similarities between the matching words? 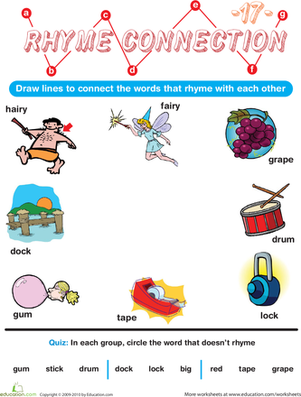 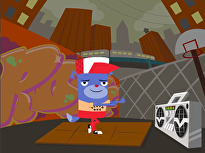 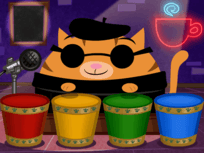 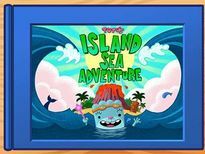 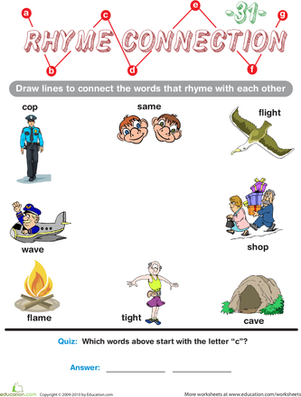 When he's done connecting rhyming words, have him make a connection between one of the words and its meaning in a short bonus quiz!